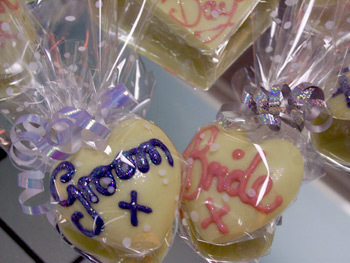 Small wedding favours chocolates, personalized and decorated to order. We can tailor many different designs of novelites from our extensive range to suit your plans and colours. Contact The Chocolate House for further details.